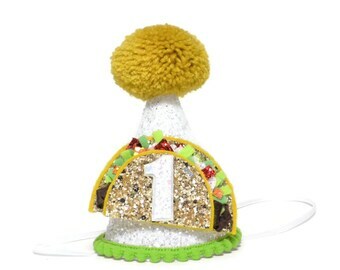 A fun hat for a Fiesta birthday party, Taco Twosday Party, Taco Bout A Party, Cinco De Mayo Mexican Independence day and MORE!! 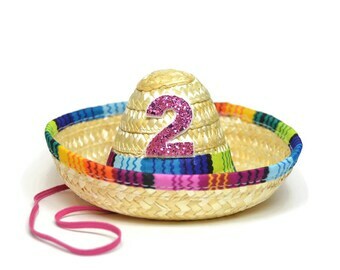 Mini straw sombrero with COLORFUL trim and ANY number of your choice. 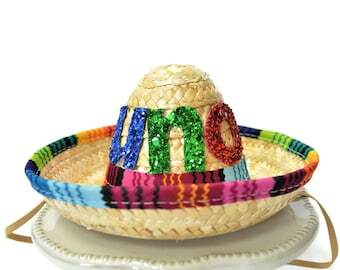 Wear the hat plain OR add any number, including the word UNO. 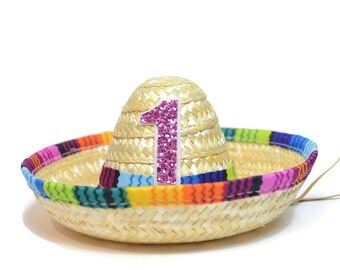 Number can be any of our glitter colors or felt. Please leave a note at checkout for your selection. Select the number in the drop down menu. Our crown headbands are attached to a comfortable skinny elastic and meant to be worn around the back of the head, behind the ears. (Not under the chin). 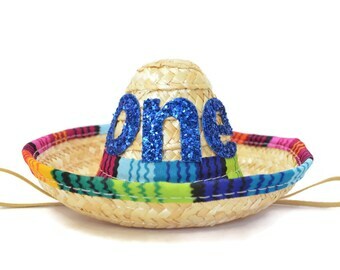 Our sombreros are 6" across and about 3 1/2" tall attached to a comfortable 1/8 skinny elastic headband for comfort and long wearing! Tilt to the side for a fun, whimsical look! Cactus balloon coordinates well with this hat! It’s adorable! 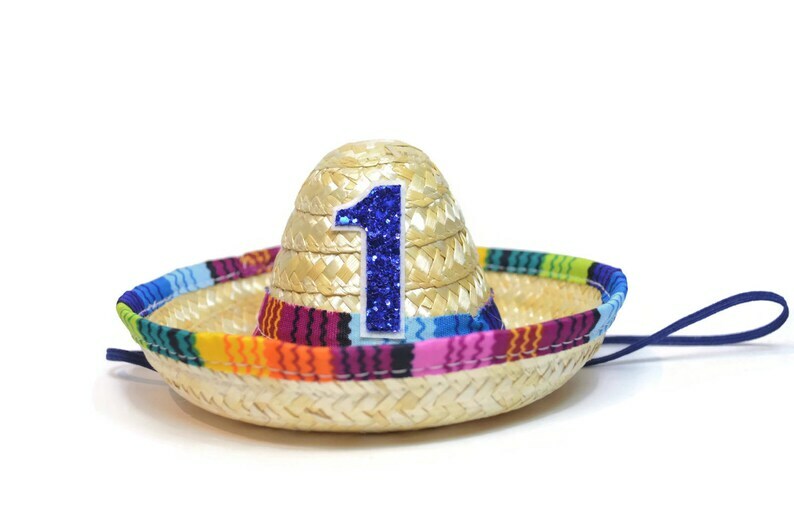 Perfect for our fiesta themed first birthday! Exactly as shown and fast shipping. Super cute! Cant wait to use for my little ones party!